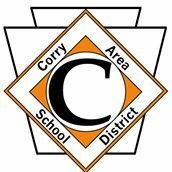 Due to the inclement weather today May 25, 2017, the Thursday in the Park concert for tonight has been moved inside the Corry Area Primary School. Program to begin at 7:00 PM. 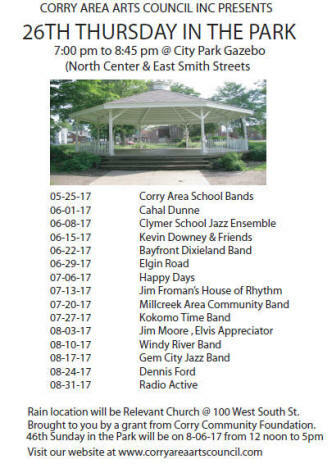 Thanks to the generosity of the Corry Community Foundation, the Corry Area Arts Council will present the 26th Thursday in the Park concert series at City Park Gazebo at N. Center and E. Smith streets beginning on Thursday, May 25, 2016 and ending on Thursday August 31, 2017. Programs will start at 7:00 PM and end at 8:45 PM. Audience members should remember that this is a smoke free area. For the safety of the little ones, it is requested that you leave your bikes and dogs at home. 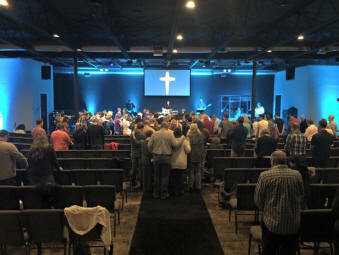 If inclement weather occurs the concerts will be at the Relevant Church at 100 West South (the former Sanford Market). Our affiliate the Corry Area Arts Council Auxiliary under the direction of their new president Jennifer Drake will be responsible for the refreshment stand on 05-25-17, 06-08-17, 06-22-17, and 07-06-17. C4U under the guidance of their president, Allison Parrett, will sell refreshments on 6-01-17, 07-13-17, 08-03-17, and 08-31-17. Returning after a year's absensce are the bands from Corry Area Junior and Senior High School under the direction of band instructor, Brian McCowin. 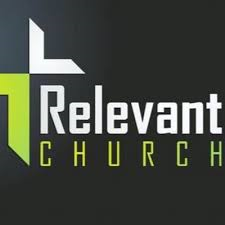 Rain location for this group will be will be the Relevant Church at 100 West South Street in Corry, PA. The concert begins at 7:00 PM at City Park Gazebo at North Center and East Smith Streets. One of our top crowd pleasers, Cahal Dunne will return to Corry on June 01, 2017 for the 2nd of l5 Thursday in the Park concerts sponsored by the Corry Area Arts Council and held in the City Park Gazebo from 7:00 until 8:45 pm. 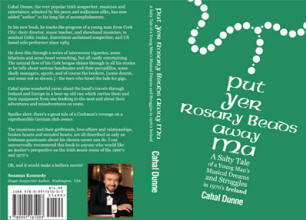 Cahal, known as Ireland's Happy Man, is a composer, pianist, comedian, singer,author and storyteller. With a rich and deep vocal style, he takes audiences on a musical journey to his homeland as well as to various parts of his adopted country, the USA. Returning for a second year in a row on Week 3 will be Clymer Central School Jazz Ensemble under the direction of Mr. Christopher Wakefield. The 2016 - 2017 Clymer Central School Jazz Ensemble under the direction of Mr. Christopher Wakefield. 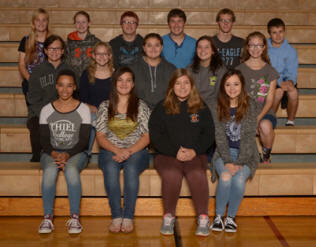 The Clymer Jazz Band is made up of students in grades 8-12 and had performed in the Dunkirk Jazz Invitational, the Forestville Jazz Invitational, the Corry Just Jazz Desserts Festival, the NYSSMA Majors Festival (where we received a Silver rating), and at the Darien Lake Jazz Band Competition. If inclement weather occurs, we will move into the Relevant Church at 100 West South Street in Corry, PA.
Refreshments will be served by members of the Corry Area Arts Council Auxiliary. 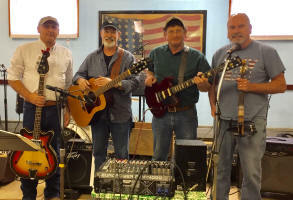 For the 4th concert of the Summer Concert series, the Corry Area Arts Council will present, Kevin Downey and Friends. 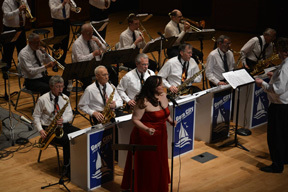 The group consists of Kevin Downey, vocalist from Cutting, New York, Max Schang, guitarist, Louis Nicola, violinist from Erie and Dennis Geib accomplished pianist from Franklin, They will perform songs from Broadway, the Big Band Era, Classics, and Jazz. Program begins at 7:00 PM with a l5 minute intermission at 8:00 PM. Act 11 ends at 8:45. 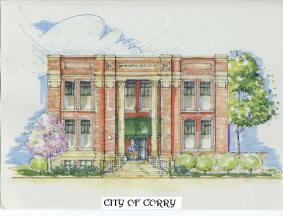 Refreshments will be sold by Corry Area Arts Council members. Bayfront Dixieland Band will appear at City Park Gazebo for the 5th week of Corry Art's Council's Thursday in the Park series. A few of the selections the 6 members will perform are Basin Street Blues, Just A Closer Walk With Thee, Tiger Rag, Georgia, When The Saints Come Marching In, Sweet Georgia Brown. Elgin Road will appear at City Park Gazebo for the 6th week of Corry Art's Council's Thursday in the Park series. The group from left to right: Mark Cox, Pete Clute, Jeff Cox, Dave Schaffer. Newest Member Dave Schaffer plays guitar, banjo and violin. Also, all four members sing. Be prepared for lots of folk music, some country, and some rock. Ross and Chuck are no longer performing together. After 28 years they have decided to go their separate ways. Ross now appears with his family and Chuck with his son Angelo. For this concert Ross will be appear with daughter Gabriella and wife Mary. Join them for some oldies but goodies. Have fun with them as they go back in time performing songs from the past including those made popular by Elvis Presley, Tom Jones, Blues Brothers, Johnny Cash, and Roy Orbeson. Refreshments will be sold by the members of the Corry Area Arts Council Auxiliary. Stones, the Beattles, Creedance Clearwater Revival, and Bob Marley. Creativity For You will sell refreshments this evening. 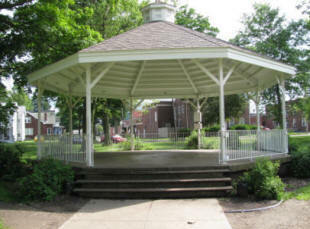 From 7:00pm until 8:45pm, members of the Millcreek Area Community Band will entertain in City Park Gazebo. This group began in May of 1951 as an eight member pick up band at talent night at Pulako's-On-The-Lake where as a German Band, they took home first place prize of $25.00 which they soon used to purchase a base drum. Later the name was changed to ERRA Novelty Band, then the Sportsman Club Novelty Band, and in 1997 to its current name. 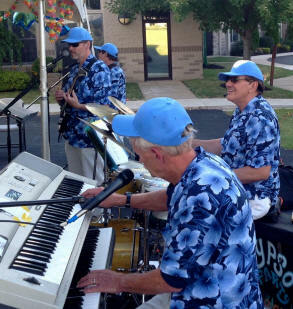 They regularly perform annual concerts at Little Theater, Asbury Park, Avalon Park, Pleasant Ridge Nursing Home, Beveller Village, VA Hospital, and Soldier's And Sailor's Home. 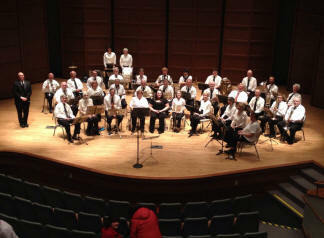 The band has grown from its original 8 to 35 members from all walks of life and from many area hometowns including Conneautville, Corry, Erie, Girard and North East. Their program will include many familiar show tunes, movie themes, a Frank Sinatra medley, Glenn Miller Suite and a number of patriotic marches. This will be their third appearance in Corry in recent years having performed at Thursday In The Park Concert number 12 in Aug of 2015 and were headliners at our Sunday in the Park last year. 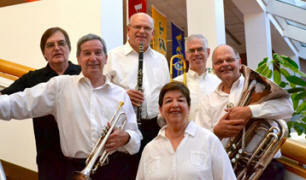 As a fundraiser, Corry Artists' Guild will serve refreshments during the concert. Returning on week 10 is the festive looking, feel good sounding, people - friendly group, Kokomo Time Band from Chautauqua County, New York. Their programs include hits from 50's, 60's and 70's, beach music, country classics, and some Tex-Mex. 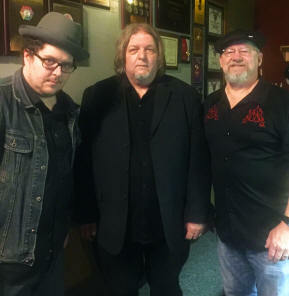 Band members include Jeff McCheskey (keyboards and vocals), Spencer Drake (lead guitar and vocals), Warren Sischo (bass and baritone guitar and vocals) and Jim Steffen (drums, vocals, and band manager. For more information go to www.KokomoTimeBand.com. 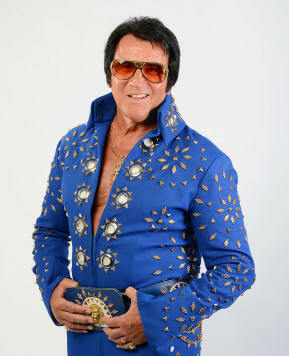 For our 11th show we have invited Jim Moore from Erie to perform as Elvis. Jim Moore has been singing Elvis Presley songs since he was 3 years old. He has previously appeared here at a dinner theatre in April of 2010, our 40th Sunday in the Park on August of 2011 and was the top attraction in 2014, 2015 and 2016. This Elvis Appreciator performs both rock ‘n roll and gospel selections. Creativity 4 You will furnish refreshments that evening as their way of raising funds. 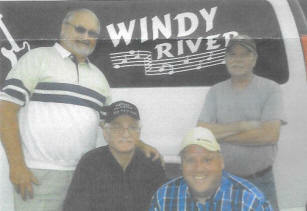 For the 12th of l5 concerts, the Corry Area Arts Council has invited Windy River Band to appear in the Gazebo at City Park from 7:00 until 8:45 pm on August 10, 2017. 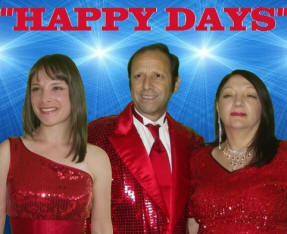 Performing both classic and recent country and rock, they have been entertaining audiances for over a decade. If you like to dance, you will love this group consisting of Tom Shoup on lead guitar and vocals, David Winger on lead vocals and guitar, Lil' Dave Winger on drums. New band member is Joe McLaughlin. This is his second year with the group. Because of health reasons Laurie Winger is no longer able to perform. Concert No. 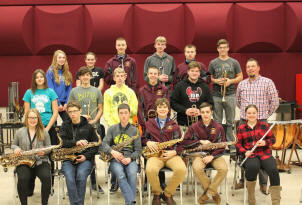 13 will be Gem City Jazz Band from Erie, PA. The show will feature an electric mix of traditional big band music, original dance band chart toppers, powerful jazz selections, and several newer instrumental jazz selections. Under the direction of Mr Jim Caspar, the 23 members will perform Makin' Whoopie, Here's To That Rainy Day, and Basin Street Blues. Vocalist Liz Collado will be featured on numerous pieces including Over the Rainbow, and The Way You Look Tonight. 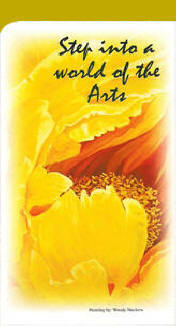 Corry Artists' Guild will sell refreshments. 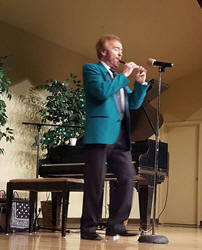 For our l4th Thursday In The Park Concert, the Arts Council will present singer-entertainer, Dennis Ford of Ashtabula, Ohio who performed at four of our dinner theatres in October of 2014, March 2016 an March 2017 and two previous Thursday in the Park performances in 2015 and 2016. He has been singing since he was 12 years old. Back in the 60's he appeared with a band called Soul Expressions. 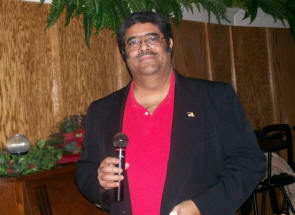 In the 70's through the 90's he sang with Qiana. 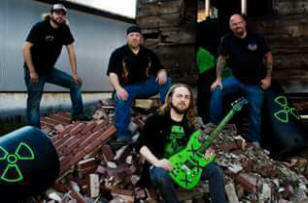 More recently he has been performing with a local Ohio band called Good Questions. The later two bands have appeared at Geneva On The Lake for over 40 years. 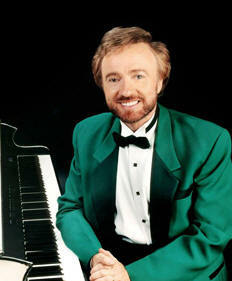 In the past he has opened for Chubby Checker, the Flamingos, the Tokens, Tommy James and the Shondells, and Mitch Rider and the Detroit Wheels. take a trip down Memory Lane as he presents songs made famous by Tony Bennett, Nat King Cole, Perry Como, Bobby Darin, Sammy Davis, Jr, Englebert Humperdinck, Tom Jones, Dean Martin, Johnny Mathis, Frank Sinatra and other hit makers. 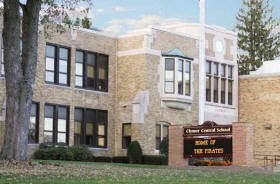 Corry Area Arts Council will sell refreshments that evening. For the 2nd year in a row, we have chosen this group to close our season. Last year we saw many new faces during the concert..
Radioactive is a concept band located in Corry, PA with experience playing at festivals, for charity fundraisers, parties and business events. In the winter of 2014, "The Local Underground" band was formed by guys who were tired of being frozen in -40 degree weather. Practicing every week, the group soon renamed themselves. 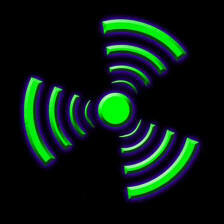 Radioactive. Each band member comes from various musical styles including country, rock, grunge, metal, bluegrass, jazz, and classical. This combination of experience provides a unique sound. Throughout the evening they provide a light show with projections, lasers, fog, and other effects. Each Thursday a decision will be made between 5:00 and 5:30 PM to determine whether we stay outside in City Park Gazebo or move indoors to the Relevant Church. 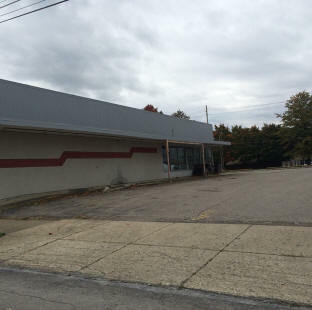 The church has off street parking for attendees plus permanent seats. The fifteen Thursday In The Park concerts are made possible because of a very generous grant from the Corry Community Foundation. Without their financial assistance each year we would not be able to present this annual event. 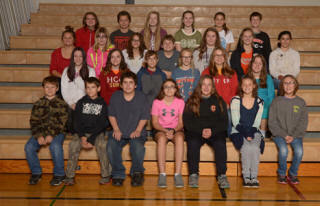 Pictured above are the recipient of this year's grants plus some of the Board of Directors from the foundation. Thank you City Council for allowing us to use City Park for the 26th Year. Thank you Bob Williams and staff for all of the advertising.